The Anderson Sports and Entertainment Center has two excellent concert and event venues. 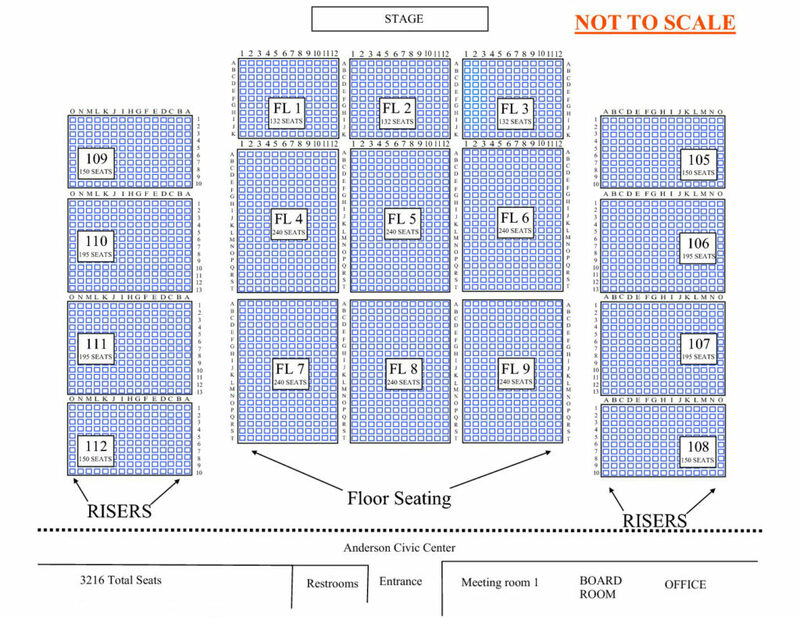 Please consult the map below before purchasing concert tickets for indoor performances at the Civic Center of Anderson, and be aware that seating setups may vary for different shows. Wheelchair seating is available at all performances. The William A. Floyd Amphitheater is one of the largest outdoor concert venues in South Carolina, featuring terraced grass seating for 15,000 or more people. Some concerts feature festival seating, at which all guests may bring their own chairs and blankets. Other performances offer reserved seating for up to 2,000 guests in front of the stage, with festival seating behind. Concession and rest room facilities are located on either side of the stage area. The William A. Floyd Amphitheater meets all ADA regulations, and wheelchair seating is available inside the venue. For special needs, please call the Amphitheater at 864-260-4800. 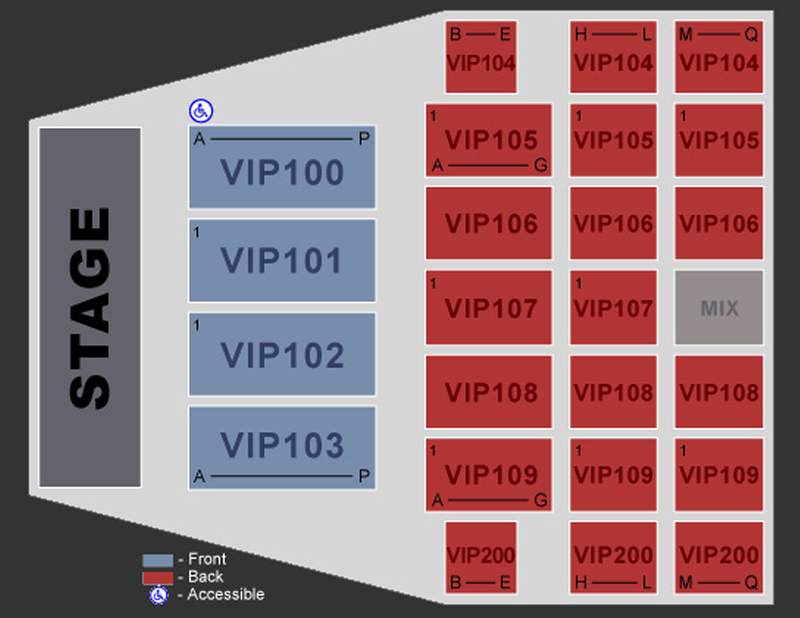 This map below shows seating options for outdoor performances.